Certain natural products may help to ease a throbbing tooth ache. Can’t get straight to your dentist? Relieve your tooth pain naturally and at home. I’ve heard the story so many times in dental practice. You’ve booked your flights and hotel and ready to go on holiday. You’re at the airport then all of the sudden a whopping tooth pain kicks in. So as you board the plane, you’re overcome with worry about what your toothache means. More importantly, you need something to relieve tooth pain right now! For those that have had tooth pain, you know just how terrible it can feel. Tooth pain will often prevent you functioning normally. It can ruin the pleasure of eating, and even make you want to stop talking. Often the most serious forms of tooth pain occur when waking at night. In my experience, these patients lose sleep and are in extreme discomfort. These tooth aches happen at times where you may not be able to see your dentist. Tooth pain from a tooth cavity or a broken tooth can derail your life. You might find that you have to take many days off from work or school. This can set you back in many different ways. 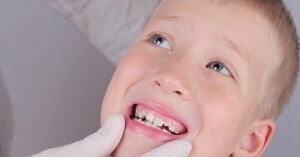 If your kids have tooth pain, it can be a distressing time. For parents, there may be ways to relieve tooth pain naturally. Often it takes days or even weeks to get an appointment with your dentist. In the meantime, you may need something to ease the pain using items you can easily find at home. Healing your teeth naturally may be an option to relieve tooth pain. Natural dentistry may be a remedy for a problem that comes up unexpectedly. 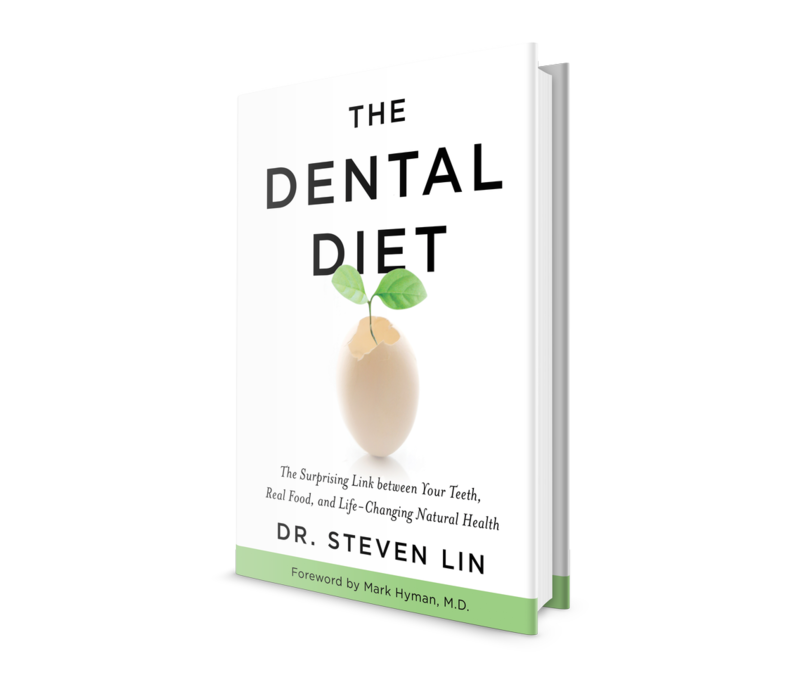 Read ahead (and book mark this page) to learn more about how you can relieve tooth pain naturally. 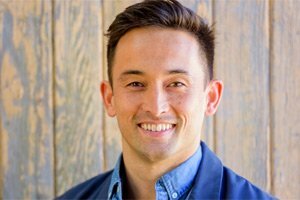 These natural dentistry tips can really help you solve your problem – and end your suffering. Most people suffer from two main kinds of tooth pain – Sharp and Dull. Read ahead to learn about the differences between these two main types of tooth pain. Sharp or acute tooth pain is often short and appears quickly. It can come on when you eat or when you speak, or it can have no trigger at all. There are many factors that can cause your sharp tooth pain. Sharp tooth pain can often be fixed by a visit to your dentist. They will investigate the cause and source of pain. You might need a cavity filled or a tooth repaired. Do not ignore sharp tooth pain. It can progress to a chronic infection over time. Dull tooth pain can be a sign of a more serious problem. Dull tooth pain often means that the nerves are damaged. It comes from the nerve (or the pulp) of the tooth. Hot food and drinks can trigger this pain. The dull ache begins slowly but then can last for a long time. It can even wake you up in the middle of the night. You should go see your dentist – they will assess the source of your pain. A dull ache can be a sign of a serious infection. If you have sharp or dull tooth pain, try these completely natural remedies. They all have powerful active ingredients that will soothe your pain. While you may still need to see your dentist, these can help. People have been using clove oil to help with tooth pain for thousands of years. Cloves are not only a delicious addition to baking and curries, it is good for easing the pain. Clove contains a strong chemical called eugenol. It is both an anesthetic and an antiseptic. This means that it numbs your nerves, and it also prevents further infection. Creating a salt water rinse is a good way to sanitize your mouth. This saline mix is an antiseptic, which means that it prevents bacteria from growing. Keeping your mouth clean will help to prevent and even infection. This will reduce the amount of pain that you feel. Rinse your mouth after each meal, when you wake up and before you go to sleep. Have you ever wondered why so many oral health products include peppermint? Peppermint includes menthol, an active ingredient that has strong anti-bacterial properties. These properties may also help relieve your tooth pain naturally. As a plus, peppermint will give you minty fresh breath! It may seem counter-productive to add a hot and spicy element to your sore mouth, but it can work wonders. Cayenne pepper is a good source of capsaicin, an active ingredient that can really help with your tooth pain. It is an anti-inflammatory and will reduce swelling. This can really help reduce your tooth pain. Garlic not only makes your food taste delicious, it can help ease the pain of a toothache. When you crush garlic cloves, they release allicin. This is a natural antibacterial agent, and it can help you with your tooth pain. Consider chewing on a piece of raw garlic, or rinsing with garlic water. That said, you may want to follow up with some peppermint! You may already know about cucumber’s soothing effects. This is the reason why so many people use it as a remedy for puffy eyes. It has hemostatic properties, which means that it helps to keep blood within a blood vessel. If you want to use cucumber on your tooth pain, slice a piece and hold it to the affected area. You can also make a mixture of cucumber and sea salt and use it as a paste on the tooth. Is your cucumber in the fridge? Bring it up to room temperature before applying it to your sensitive teeth. Sure, they’re a tasty addition to food – but did you know that onions are antiseptic? It’s true – they are packed with antimicrobial properties. This can help raw onions kill the bacteria in your mouth and reduce your pain. Place a raw onion on the affected area. It might make your eyes water, but dentists agree that it will likely help dull the pain. Turmeric is one of the most medicinal spices on the planet. It has a whole series of uses and benefits. Turmeric contains an active ingredient called curcumin. This has many antiseptic, analgesic and antibacterial properties. Curcumin can help stop your tooth pain and can prevent infections and abscesses. If you want to use turmeric to help with your tooth pain, make a paste. Add a teaspoon of turmeric powder into a small amount of water. Add some of this paste to a cotton ball, and apply it directly to your sore tooth. You can even mix this paste with raw honey to improve taste. Thyme is a great herb to use in cooking. It has many antimicrobial properties. Thyme is full of thymol, an antifungal and antiseptic active ingredient. This can make it a great essential oil for tooth pain and infections. You can add the essential oil directly to your tooth and gums. You can also sip thyme tea or chew fresh thyme leaves. Thyme leaves are very small, so it is a good idea to chew them on the opposite side of your sore tooth. If the small leaves get into the infected area, you could cause more problems. Ginger is a powerful antiseptic, and it tastes great. Fresh ginger is packed with active ingredients. These include gingerone, shogaols, and gingerols. Chewing raw ginger is a great way to reduce certain bacteria in your mouth. Reducing certain bacteria can help with pain and can stop further infection. In addition to chewing on raw ginger, you can add fresh ginger to your food. It has great benefits and tastes delicious. If you have a sore tooth, your face might appear swollen and puffy. If this is the case, you can apply an ice pack to your cheek. The cold nature of the ice will reduce your swelling. Remember – if your face is swollen, you might have a serious infection. You might even have an abscess. If this is the case, you need to consult with your dentist as soon as possible. He or she can advise you on further treatment. Your body has vitamin K2 dependent proteins that are released from the dental pulp to fight tooth inflammation called osteocalcin. Eating a diet with plenty of vitamin K2 rich foods may help fight toothaches naturally. For a topical solution, keeping Emu oil on hand is one of the richest natural sources of vitamin K2. I recommend WalkAbout Emu Oil, as a high-quality natural remedy for a toothache. Relieving your tooth pain can help you get through your day. Remember you should always book an appointment with your dentist. Do you have experience with any of these natural tooth pain remedies? Why not let us know about them in the comments below. I have also tried the ginger remedy and it really worked. Taking ginger during toothache works wonders. Thank you for sharing the knowledge. I tried turmeric and it worked really well. I am astonish to have brighter teeth in a very short period. I need refilling on both my upper and just my right lower teeth. There have been two dentists that I have visited and they said, all those teeth would have to be pulled. If the don’t be pulled, they said, I would have gum disease. I would like to know, why can’t I get a refilling. I have this silver filling that’s in my teeth. Where it has worn down. That’s why I can’t eat or drink, cold and hot foods and liquids. It’s very expensive going to the dentist. The county dentist only do what they want to do. Not what you want that’s best for you. I seen on website that other people had the same problem as me but all their teeth wasn’t removed. I would like to know, what can I do? What should I do? I had a filling fall out and the tooth got infected. Doc gave me some antibiotics to take. and a week later I went back to see doc and he refilled the cavity. He said if that did not take care of it that I would need a root canal. the filling is fine. no root canal no pain. You can use vanilla extract on your tooth or in the cavity to ease the pain. It works for me. Thank you so much for your kind words. We hope that this helps! Turmeric paste has worked for me. Finally 7 day tooth pain has got some relief. Thank You Sir. Good to hear that it helps. We appreciate it lot! You can actually feel the turmeric working in your mouth, on the affected area as if it is literally, drawing, the poison out, it was so effective that I sat on my bed, wondering if it was my imagination…wondrous. I just used the tumeric method and I got instant relief. You’re not imagining, I feel it working as well. Thank you so much for your kind words, we appreciate your support immensely! I hope it helps. I have a decayed tooth that is causing me throbbing pain. I can’t eat cause it’s one that I bit down with. Any recommendation on what to do to get the throbbing to stop?? Thank you for your kind words. Glad it helped. Thank you for the helpful remedy it helps me a lot…. But can i have a another simple recipe like ginger or onions? We’re glad that it helped. Stay tuned, we are currently working on it. I like your tip that cayenne pepper will act as an anti-inflammatory and reduce swelling to help soothe the pain of a tooth ache. My brother has a toothache and is looking for natural solutions to help the soreness because it’s beginning to bother him quite a bit. I think maybe it would be best if he saw a dentist to get the tooth removed. Hello! Great to see a functional medicine DDS! I have used Dr. Schulze’s herbal formulas on and off for years- (I have no affiliation by the way) (www.herbdoc.com) After reading your article, it has inspired me to order some of his tincture called “tooth and gum”. It has many of what you list all in one easy bottle to swish around or use in a water pic. Check it out! His facility is in Marina Del Rey if one is local. I just tried peppermint oil. It definitely has helped w the pain. Mouth is very minty and fresh, and the pain has definitely subsided. Wish I would have read this last night so that I could have slept. I am glad I found this page. I really hate taking any medicines now and my tooth was beyond hurting. I applied the peppermint oil and turmeric within hours the pain was going away. Thank you so much for your kind words. We hope that this helps. Your are the great sir….your my inspiration . I found these home made remedies very helpful. These are instant as they provide quick pain relief solution. I personally tried one of these remedies. you can try this as well depending on the tooth pain. Nowadays most of the people suffering from Dental problems. Thanks for the beautiful article to share and to share such a simple and useful tips about Dental care. Teeth Causes are really good. I thought of not to visit dentist and can better solve the problem of cavity by way of ayurvedic medicine but no remedy was found and hence visited dentist and got the cavity filled. Even after filling the pain with hot or cold are not leave me. Now I request the expert that even after filling the cavity I am getting pain which I want to cure with ayurvedic medicine. Please suggest ayurvedic tabs or any other medicine. Thanks for the valuable blog. Very helpful nice tips, I am going to plan for root canal and you have explained very well. I will take care pre and post root canal treatment. Please suggest some more tips about it. Great post very much enjoyed it thank you. 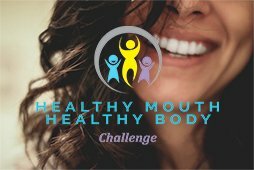 Healthy smile is not only helpful to boost our energy but also it gives us so many other benefits. I glad to wish your site and also I like your site and your information they very nice and amazing. My father has been having some tooth pain lately. It is good to know that he can chew on raw ginger to help get rid of the pain. He really likes ginger so that will make him happy. He might want to talk to a dentist about that if the pain keeps up. I’ve been having a dull ache in my lower rear molars lately. Just tried some Turmeric with immediate results. As recommended, I made a thick paste and applied to the gum area. Presto…pain is gone! Thanks so much. Highly informative article and will help one and all in the short as well as in the long run. It’s very wonderful that you Share your Knowledge with all of us. I will make sure to consider all your tips for choosing a general dentist. Thank you so much for your kind words! We appreciate your support! Hope it helps. This type of message always inspiring and I prefer to read content, so happy to find good place to many here in the post, the writing is just great. Please, keep this work going on in the same quality. Thank you so much for your kind words! Hope this helps! Dental care is one of the most important part of healthcare. I have been looking for such a post for a long time. This is an excellent post. I learned a lot about what you talking about. orthodontist in Colorado Springs we are providing you with the best orthodontic care in an environment that is comfortable and friendly because your care is our priority. I tried the Cayenne Pepper remedy it really works … Thanks ! I really appreciate your thought process and having it explained properly, our blog always encourages me to keep working hard! Thanks for your ideas and opinions. We’re glad you found this information helpful! Thank you so much for your kind words. We’re glad this helped! I had unbearable tooth ache when I found this home remedies page I tried many of the remedies with little comfort getting up every hour trying the next remedy. I tried garlic, mouthwash, brushing my teeth, cloves, cayenne, and salt water. with little to temporary relief. In the past i would take 4 cloves of garlic and it always worked by the time morning came i had eaten 5 cloves of garlic and the pain was still there . So i just blended up 4 more cloves of garlic with carrot juice and within ten minutes the pain was completely gone. I have come up with a sure fire way to stop any tooth ache guaranteed. Take 1 clove of garlic for every 20 lbs you weigh (For example if you weigh 160 lbs take 8 cloves). blend the garlic with carrot juice and drink right after you blend it for best results. the carrot juice helps with the heat of the garlic. We really appreciate the updates and we’re glad to hear about your improvements. I’m grateful for the information on what to do in a dental emergency. Thanks so much for sharing and we’re looking forward to hearing more about your progress! Thanks for sharing this great post about dealing with a dental problem. I appreciate your all suggestions and its very important to go to the dentist if there isn’t exceptional pain involved. Please keep sharing more info. Reading the majority of these comments was like having a root canal. My Lord, the idiocy is rampant on here. Good tips though, so thank you for that. I think lemon also helps right? If you put lemon on the aching spot. Is this true? Jared Peterson did you swallow your concoction? If so how did that help with the pain? My brother is having a hard time sleeping last night because of a toothache and he wanted to relieve it. According to this, it’s recommended to use salt water to rinse as a home remedy. Furthermore, it’s recommended to go to trusted dentists when dealing with toothaches. So far I feel pretty good but don’t want to chance eating anything since it is almost bedtime. However, I was able to drink a beverage without any issues. This is definitely worth a try if your pain is severe like mine was. I have swollen gums on one side of my mouth, due to possible gum disease. Some days are fine, others it would be so inflammed that I am unable to close my mouth or eat comfortably. Raw cod liver oil (unfermented) seems to relieve the pain. However, I will try out these suggestions! I am glad that you mentioned how a dull toothache might point to an infection so you should see your dentist right away. My kid has had trouble sleeping last night because of the sheer tooth pain that he had to deal with. I will be sure to bring him to the dentist immediately to check for any infections. Unfortunately, pain in the tooth is never a good sign. If you are already feeling pain, even minor pain, from a tooth as opposed to sensitivity from hot/cold substances, then it is definitely time for the dentist. You need a filling – the cavity is deep already if it’s causing you pain (minor/small cavities are normally painless). If you leave it go you will end up needing a root canal, or even extraction. The pain once the decay progresses to the nerve will become acute very quickly – and you’ll wish you’d gone in earlier. Call your dentist today and get an appointment ASAP – the sooner you get that filled the better you’ll be. If you haven’t been in the last six months, have a complete work-up and cleaning while you are there – you want to catch any other minor problems you may not even have noticed before they turn severe. Hopefully, you’ve caught this early enough to avoid root canal treatment. In the meantime, OTC medications, ice on the outside of the mouth, and orajel or a similar mouth-numbing substance can be used to help with pain – though none are “remedies” for the cavity – it needs to be filled. Just taking the pain away will not solve the real problem. Thank you so much for the remedies. they worked out so well. with a toothache you will temporarily go crazy. Thank you so much for your support! We hope this helps. That were great home remedies you mentioned above.That will surely come in hand during dental emergencies.Looking forward to your articles. Thank you so much for the information. I appreciate you. Ginger and turmeric are really good for teeth. I have tried both of them and I was amazed to see the results.